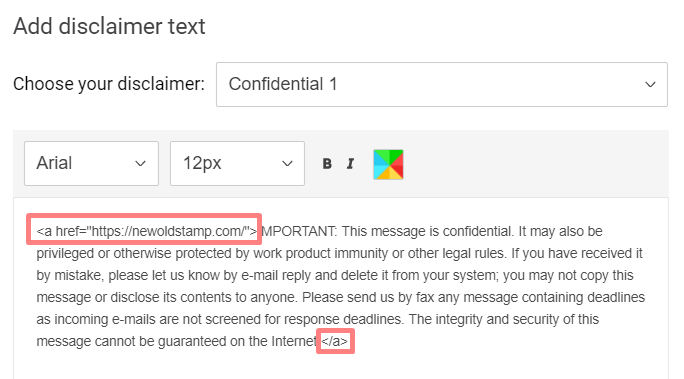 Need to add a disclaimer to your email to protect the content? Let me tell you how to do it with NEWOLDSTAMP signature editor. 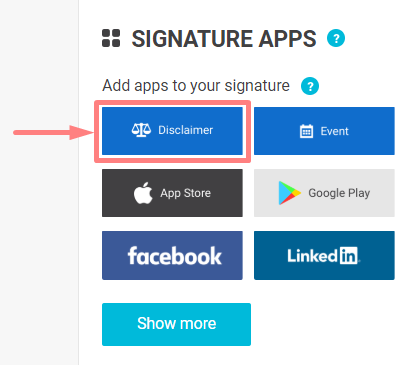 You can find a disclaimer on the right among other apps you can to add (make sure your zoom is 90% or less). Also in our blog you can find the tips how to use a legal disclaimer and various samples of them. So here it is! 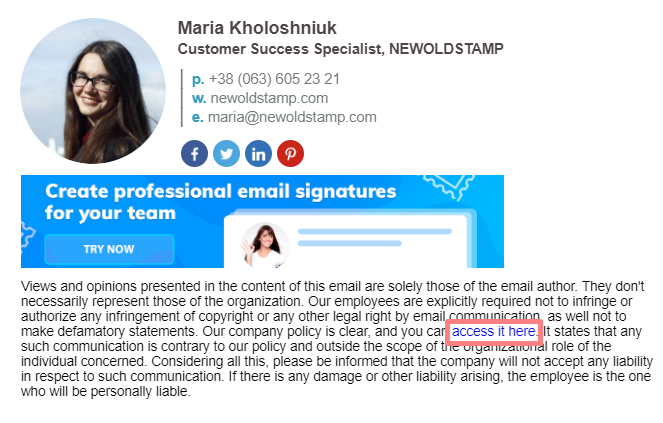 Your disclaimer that protect your email and leads you where you need!